Michel Tremblay is a Professor in the Department of Human Resources Management at HEC Montréal and holds the Omer DeSerres Chair of Commerce. He is part of the education service of human resources management. He has a Master’s degree in human resources management from HEC Montréal as well as a PhD in administration from the Institut d’Administration des Entreprises, Aix-Marseille, in France. His teaching and research activities focus mainly on remuneration policies and human resources motivation. His research interests focus mainly on the influence of managers and employees on customer attitudes and behaviors. To this day, Professor Tremblay has solely or jointly contributed to more than sixty publications. His research accomplishments have been published on several continents (Canada, United States, France, England, Switzerland, Belgium, Latin America). 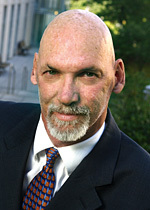 Over the course of his career, Professor Tremblay has been the recipient of several scientific awards and distinctions.